Bristol's finest reggae producer meets Doncaster's number one dancehall MC as Mr Benn & Parly B join forces for an EP chock full of vibes. Bubbling dancehall riddims underpin "Heat Up," "Session Cork," and "Gwarn Go Bathe" on this first-time collaborative EP. Nottingham's Origin One returns with another bass heavy anthem. 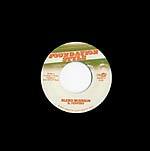 Traversing roots reggae, hip hop, dub, and steppers, this is a perfect example of Origin One's style of production, eclectic in influence and heavy on the bottom end. As the title may suggest the track is a tribute to the herb, delivered by Ghanaian born MC/rapper Kweku (K.O.G.) who absolutely destroys the track. Already getting spins on some of the UK's biggest sound systems, this should see some heavy rotation. Unleashing his debut release, Preacha steps out on with an instant classic. Channeling some deep '80s dancehall vibes, the production is a sweet marriage of old and new -- referencing the classic digital drum machines of the past whilst keeping the vibes modern and fresh. Vocals are delivered courtesy of Jay Spaker, a veteran Brooklyn mic man and singer, who holds the vibe perfectly. 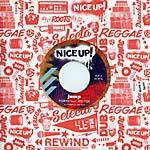 This track is already hot on soundsystems such as Reggae Roast, Mungo's Hi-Fi, and Dub Stuy. Based around a familiar reggae drop, the story tells a tale of Jimmy's foundation in soundsystem, name-checking Shabba Ranks, Yellowman, and Smiley Culture along the way. As the riddim flips to a dancehall vibe, we shift forward a generation, now influenced by the sound of '90s boom bap and bashment, then finally coming to a huge jungle climax, dripping in amen breaks -- giving a full history of the musical style behind Ghost Writerz and bringing us bang up to date. Taken from the acclaimed Migration album (NUP 004LP, 2016), Kypoli sees Poirier sharing production duties with fellow Ninja Tune alumni Machinedrum. Taking vocal samples from Aleisha Lee and twisting, chopping and manipulating them into a completely new composition, the pair create a brooding post-dancehall/soul fusion. Bukem-esque pads and deep dub elegance give way to pounding kicks and floating harmonies. 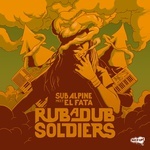 Remixes come from France's dub scientist Moresounds, who ups the jungle influence with a classic Reese-style bassline and rolling snare chops. Montreal-based newcomer Thomas White who flips the vibe completely for a slo-mo, soul, style builder. Double LP version. 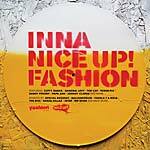 Undoubtedly one of the most iconic and legendary reggae labels to come out of the UK, Fashion Records has a rich and deep history. Inna NICE UP! Fashion aims to bring new life to some of these legendary tracks by having modern day producers rework them in their own style and introduce them to a new audience. From the frantic breakbeats of rave-revivalist Special Request and the bottom-end sonics of Toddla T & Melé, to the modern minimalist dancehall-tech of Machinedrum and the digital dub drone of The Bug, there is plenty to get excited about here. Poland's Radikal Guru serves up some classic dubstep, Germany's Jahtari crew take it back into '80s nostalgia with their 8-bit dancehall style, whilst modern reggae producers Wrongtom, Jstar and Mr Benn all show why they are on the forefront of the UK reggae revival. The tempo gets upped for some heavier jungle inspired remixes from Aries & Gold Dubs, Serial Killaz and festival favorites Dub Pistols, giving a little bit of something for everybody. Features reworkings of songs originally by: Asher Senator, Starkey Banton, General Levy, Papa San, Cutty Rank, Bunny Genera, Daddy Freddy, Tenor Fly, Top Cat, Johnny Clarke, Andrew Paul and Pato Banton. 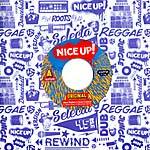 One of the most popular tracks from 2015's Survival of the Fittest LP (NUP 002LP) finally gets a single release and remix treatment from Reggae Roast's Vibration Lab. Taking the track in a deeper, more digital direction, the veteran duo have crafted a classic slice of modern dancehall, reminiscent of the legendary sounds of Gussie P. and that timeless '90s vibe. Flip it over for a dubwise version. 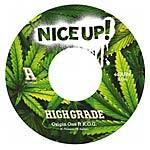 Origin One come in heavy with their first release for Nice Up! enlisting the help of one of the UK's finest and most prolific dancehall MCs - Parly B. Having previously worked with heavyweights such as Mungo's Hifi, The Skints and Reggae Roast, Parly brings his trademark toasting to the bubbling dancehall beats of "Mi Bredrin", creating an instant dancefloor killer. "Positive Up" finds Poirier in a deep dubby dancehall mood. Reminiscent of classic Unity or Jammy's productions, the '80s digital vibe is updated to suit modern dancehalls and soundsystems. Regular collaborator Face-T provides the vocal counter, once again displaying his brilliant lyricism and delivery, while also evoking the legendary Shinehead with a whistling solo! Montréal-based DJ and producer Poirier has covered a lot of ground since emerging in the early 2000s, from frenetic soca and hyped-up dancehall to rootsy reggae and cinematic sounds. Previous releases on Ninja Tune and Mixpak have seen a wide array of fans come flocking to his sound. 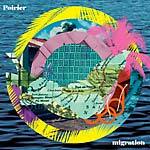 Constantly evolving and shifting, Migration is an album that draws all of it together, moving through inspirations and genres, pulling them apart, and putting them together again to fluidly build Pourier's truly distinct sound. Electronics meld with acoustic instrumentation while warm tropical sounds rub up against stark digital soundscapes, disparate sounds and styles flowing easily into each other. The album's title refers to the increasingly pertinent global issue of migration. 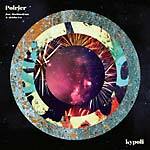 As with any Poirier album, the guests make up as much of the sonic tapestry as anything else. Legendary NYC dancehall chatter Red Fox makes an appearance on the lively single "Jump" (NUP 024EP, 2015) (supported hugely by David Rodigan and Toddla T). Versatile producer Machinedrum teams up with Poirier and Aleisha Lee for the deep post-dancehall of "Kypoli" while long-time collaborator Face-T turns up on the futuristic dubby dancehall of "Positive Up," "Why," and "Likkle Money." MC Zulu steps up once again to bring his unmistakable energy to "Keep It Rolling" and "Universal Peace," while Haitian vocalist Fwonte supplying the summer vibes on the konpa-meets-rocksteady of "Pale Mal." Dubmatix and Riddim Wise also bring their flavors to the table, completing a truly international lineup. Montréal-based producer Poirier presents "Jump," his take on the classic dancehall sound of the '90s. Taken from his 2016 Migration album, the track features bona fide dancehall legend Red Fox. "I wanted to reference the 90's dancehall vibe, but with a modern feel of my own," says Poirier. "After I'd made the beat, Red Fox instantly came to my mind -- because he IS that sound, that voice!" Road-tested on Poirier's global DJ tours, the track is an instant dancefloor-mover with its punchy, bottom-heavy production providing the perfect setting for Red Fox to do his thing. One Step Forward is the debut album from Brighton-based DJ and producer Cut La Vis aka David Lavis. Raised on a diet of '90s hip hop, roots reggae, and ska, Cut La Vis delivers a melting pot of exactly that with his debut album. Making the transition from mash-up maverick to original producer, he still turns in the same reggae-infused bangers, dubwise hip hop, and ska shakers complemented by an impressive array of guest vocalists plus a little help from a tight band of session musicians. Following her appearance on Cut La Vis's summer 2015 hit "Still Have the Love" (NUP 020EP), London-based reggae/soul singer Maddy Carty appears on a number of tracks, as does Bristol songstress Eva Lazarus. Roots Manuva collaborator and Speech Debelle's Mercury-winning producer Lotek blesses the mic on the bouncing "Rinse and Repeat," UK dancehall legend Tippa Irie appears on "Love My Music," and Cut La Vis's regular collaborator Mystro contributes to opener "Hit Me One Time." Rounding things out are Jamaican dancehall MC Peppery and vocalist Parisa (Origin One), giving the album a healthy balance of established artists and newer talent. 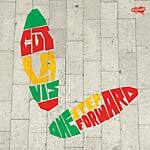 With a cheeky nod to the classic Max Romeo track, the title of One Step Forward also refers to the fact that this is Lavis's debut album -- his first step into the future, while retaining inspiration from the past. Brighton-based Cut La Vis delivers his Nice Up! debut, encapsulating the bright sun and fresh sea air of his hometown. "Still Have the Love" features up-and-coming starlet Maddy Carty, who has been causing something of a stir. Taken from his debut album, forthcoming at the time of this release, this single is an ideal introduction to the Cut La Vis sound -- reggae, hip hop, and ska all rolled into one. 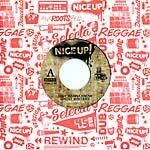 Following the huge success of the lead single "Settle Down" (NUP 018EP) Blend Mishkin and the Roots Evolution band deliver their stunning debut album. Athens, Greece-based producer Blend Mishkin has been putting in work since the mid-'90s with releases on Pork Recordings, Tru Thoughts, Shadow Records, and many more. Blend Mishkin and Roots Evolution recorded live, took the results back to the lab for mixing and dubbing, and scouted for vocal performers to bring the rhythms to life, focusing on using both international and local talent to give a wide breadth of influences and themes. Featured performers include Rebel Salute show-stopper and Juno Award-winner Exco Levi, seasoned Jamaican veteran Skarra Mucci, UK reggae and dancehall don Gappy Ranks, Italian raggamuffin KG Man, Mandinka Warrior from Denmark, fellow Greek BNC, Suga Roy, Conrad Crystal, Jammaroots, Georges Perin, and Don Caramelo. 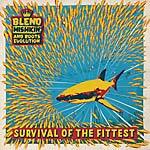 Retaining an authentic vibe while keeping it current, Survival of the Fittest is a truly modern roots reggae album. Following a number of singles on Nice Up!, Greek producer Blend Mishkin delivers an EP with the quintet Roots Evolution. The combo takes Blend's sound to the next level -- real authentic reggae music! 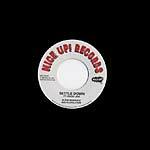 "Settle Down" features Exco Levi, an up-and-coming Jamaican superstar and part of the reggae revival movement alongside artists such as Chronixx, Protoje, and Kabaka Pyramid. 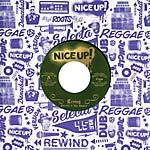 Continuing their visits to the vaults of the legendary Fashion Records, NICE UP come correct with another remix of a classic track from the catalog. Much-loved mash-up king and remixer internationale Jstar steps up to give his take on the classic "Mek Them Rock" by Bunny General. Firing up a heavy digital dancehall rhythm, the vocals are twisted and wrangled through the fx unit to deliver a truly modern take on this soundboy anthem, which is sure to NICE UP any dance. Comes with an instrumental version on the flip. 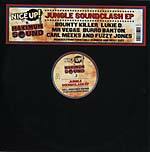 Another dancefloor essential from the Nice Up! crew, this time hooking up with iconic reggae label Maximum Sounds. Label owner and producer Frenchie entrusted Nice Up! head-honcho Shep to delve into the vaults to rework some classics for this EP. First up, Belgium's Turntable Dubbers take on the mighty Bounty Killer and Lukie D, creating a monstrous drum 'n' bass anthem. Then it's Portugal's Ricky Tuff's turn to ramp up a selection of vocalists including Mr. Vegas, Burro Bantan, Carl Meeks, and Fuzzy Jones on the "Sound Exterminata" riddim -- total soundboy destruction. Both tracks are tried and tested by Serial Killaz, Benny Page, David Rodigan, and more. 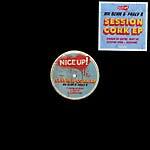 Dublin's other finest export, the Dirty Dubsters, make their first team debut on Nice Up! following a selection of brilliant tunes on their own Irish Moss imprint. 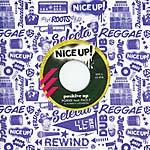 Teaming up with rap innovator and member of the legendary Fu-Schnickens (responsible for dabbling with reggae and hip-hop very early on with tunes such as the classic "Ring the Alarm"), Chip Fu delivers his trademark fast-chat over a skanking reggae beat. Another legend of the '90s NY hip-hop/reggae scene Screechy Dan also jumps on the track to make this a killer old-meets-new collaboration. 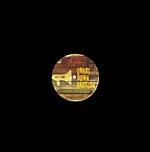 Remixes come from Chopstick Dubplate (aka Jacky Murda and Aries), who drop a killer ragga jungle refix that will destroy any dancefloor, plus label head-honcho Shepdog flexes his studio muscles with a '90s dancehall-inspired rework. 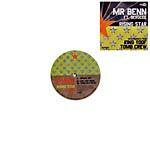 Taken from the Shake a Leg album, Bristol's Mr Benn teams up with veteran dancehall/jungle MC Tenor Fly for this heavy roots-infused reggae track. 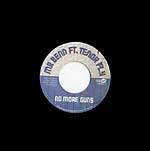 A rallying cry of "No More Guns" underpins a deeper message from this pairing, telling the story of a youth killed on the streets of Brixton. With plays already from Daddy G (Massive Attack), Mungo's Hi Fi, and Don Letts, this is sure to become an anthem. 7" vinyl with version on the flip. Double LP version. Mr. Benn (aka Ben Menter) is a name that has been bubbling away on the Bristol scene for many years, having released a number of records on the local Leisure imprint and running nights around the Stokes Croft area for many moons. Reared on a diet of Aswad, The Specials, and King Tubby, with '90s hip-hop as a backdrop as well as an emergent jungle scene, the musical influences behind his sound are wide. However, his more recent involvement with the Bristol Hifi Soundsystem (alongside Massive Attack's Daddy G) has seen him digging deeper into his reggae roots for this, his debut album. Shake a Leg is truly a labor of love, taking almost four years to complete and has seen Ben collaborate with some of his musical heroes such as The Ragga Twins, Tenor Fly and Top Cat -- all certified veterans of the UK reggae scene. There are also a number of lesser-known talents such as up-and-coming star Eva Lazarus, Canada's MC Zulu, Jamaica's Peppery, and Nanci Corriea from the Congo Natty crew, not forgetting Toddla T's main hypeman Serocee, who featured on the lead single from the album Rising Star. Taking in dub, roots, dancehall, bashment, hip-hop, house, soca and dubstep, it is sure to be the soundtrack to many a summer festival. Mr. Benn (aka Ben Menter) is a name that has been bubbling away on the Bristol scene for many years, having released a number of records on the local Leisure imprint and running nights around the Stokes Croft area for many moons. Reared on a diet of Aswad, The Specials, and King Tubby, with '90s hip-hop as a backdrop as well as an emergent jungle scene, the musical influences behind his sound are wide. However, his more recent involvement with the Bristol Hifi Soundsystem (alongside Massive Attack's Daddy G) has seen him digging deeper into his reggae roots for this, his debut album. Shake a Leg is truly a labor of love, taking almost four years to complete and has seen Ben collaborate with some of his musical heroes such as The Ragga Twins, Tenor Fly and Top Cat -- all certified veterans of the UK reggae scene. There are also a number of lesser-known talents such as up-and-coming star Eva Lazarus, Canada's MC Zulu, Jamaica's Peppery, and Nanci Corriea from the Congo Natty crew, not forgetting Toddla T's main hypeman Serocee, who featured on the lead single from the album Rising Star. Taking in dub, roots, dancehall, bashment, hip-hop, house, soca and dubstep, it is sure to be the soundtrack to many a summer festival. 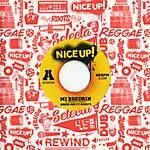 Greek badman Blend Mishkin steps up to bat another dancehall banger out of the park for Nice Up! with another slice of dancefloor business. Bouncing hip-hop reggae vibes are the order of the day here as Jamaican vocalist Peppery delivers his sermon on foundation style - respect the architect! Released on 7" vinyl with version on the B-side. 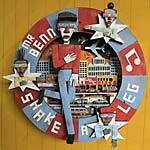 Bristol's Mr. Benn makes his debut on Nice Up. in anticipation of his full-length album. Toddla T's main hype man and dancehall don Serocee steps up on this, a heavy reggae/dubstep-style track which he takes even deeper with tales of poverty, police brutality, and torture, Remixes come from King Yoof with some chopped amens, heavy bass and old-school flavor. Next up Tomb Crew give the track a UK funky-style re-dub, lacing it with a haunting melody line and screwed-up vocal chops. 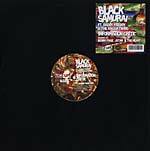 Initially released in 2004, "Information Critic" is a bumping rocksteady/hip-hop track from Leeds MC Black Samurai, featuring vocals by UK dancehall legends The Ragga Twins and Daddy Freddy. Despite picking up radio plays at the time, it found its way into only a handful of selector's boxes, one of whom was Nice Up founder DJ Shepdog, who has re-licensed the track and commissioned new remixes. Benny Page gives it a junglist relick, J-Star delivers a moombahton-style rework, and The Heavy drop a head-nodding reggae/hip-hop version.